More than 2,000 dining tables with metal tops are being recalled after reports of elevated blood lead levels in four children in Rhode Island and California. 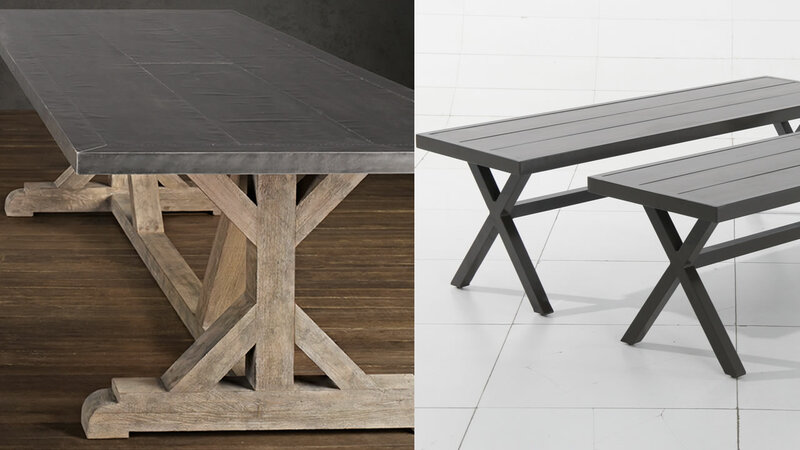 The federal Consumer Product Safety Commission says consumers should stop using the recalled Railroad Tie and Parsons Railroad Tie tables made by Restoration Hardware Inc. The company, based in Corte Madera, California, sold the tables at its stores and on its website from March 2012 through December last year. The company has received reports of elevated levels of lead in the blood of two children in Cranston, Rhode Island, and another two children in Beverly Hills, California. The tables were present at the homes where they live. Target has recalled about 1,300 patio benches due to fall hazard. The recall involves threshold aluminum top/steel X-base patio benches. So far, Target has received six reports of the benches collapsing. One person suffered a knee injury.